In my adulthood, my relationship with my mom has become so multifaceted. As a child, she’s the caretaker I loved unconditionally who from time to time would slap a bandage and the dreaded antiseptic spray on any post-wipe out boo-boos. As an adult (semi-adult anyway), she’s become a best friend, confidant and one of the quickest and cleanest darn sous chefs a daughter could ask for. Some adoptees go searching for answers from the country they came from, looking to find faces that look like their own. While there is nothing wrong with wanting that, I have my twin sister so we can just cross that off the list. I feel so wholly loved and supported in my own family, there are no questions that need to be answered. 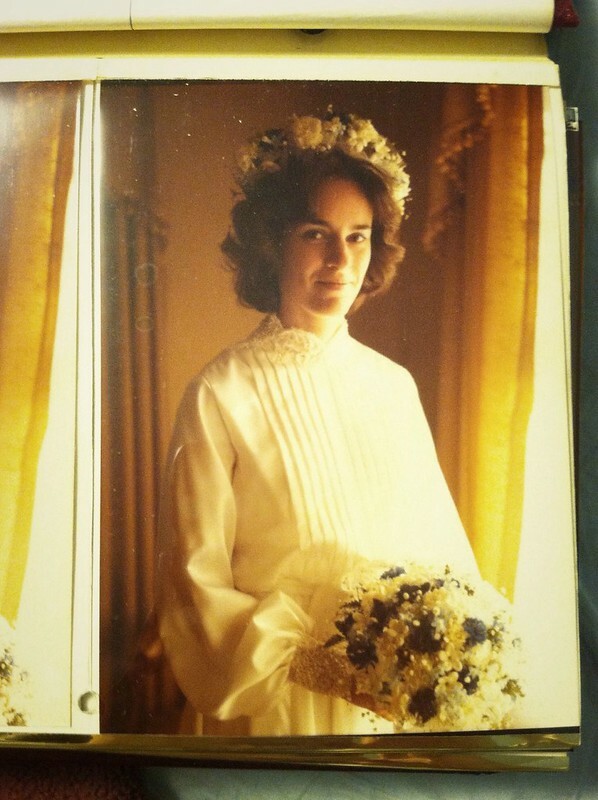 I am this wonderful woman’s daughter and I am so proud to be the Irish-Italian-German-Croatian mutt that I am. This past mother’s day, the younger generation of my extended clan prepared a brunch feast for our moms and grandma. 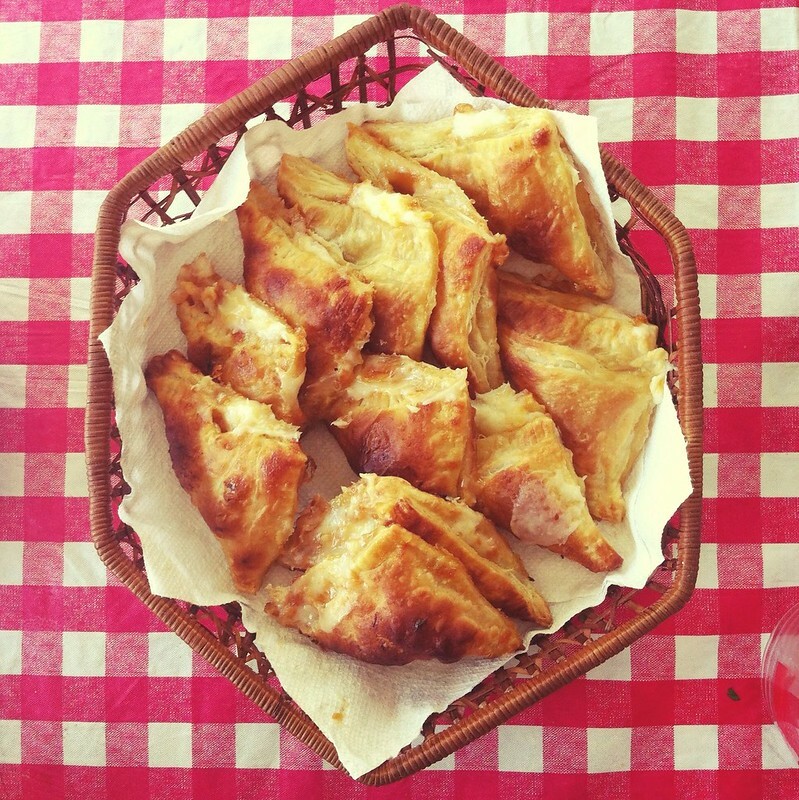 One contribution I’d like to share is a really quick and easy apricot turnover. In a small bowl, stir together the cream cheese and the sugar and set aside. Roll out the puff pastry on a lightly floured surface. Cut each sheet into 6 equal sized squares. Add 1 tablespoon sweetened cream cheese and 1 tablespoon of jam towards one corner of the squares, about 1/3 inch from the edge — maybe a little more after you’ve seen the filling explosion in the picture above. To seal the sides, brush a small amount of water on the edges and fold over the puff pastry into a triangle. Use a fork to seal the edges and transfer to two baking sheets (6 turnovers to a baking sheet) that have been lined parchment paper. In a small bowl, whisk together 2 Tbsp jam and 1 Tbsp water. 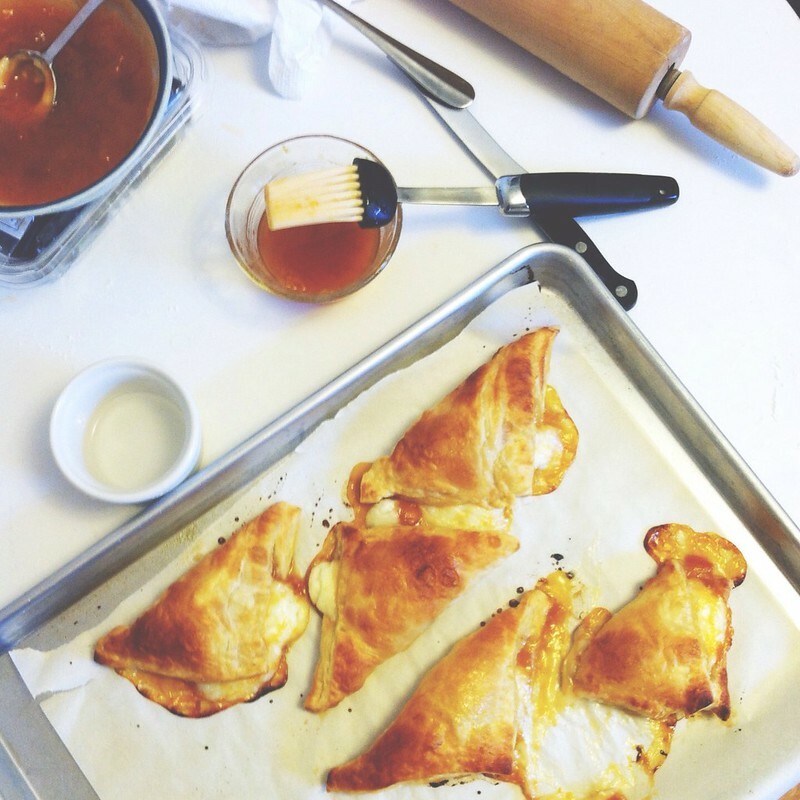 Brush the glaze onto the turnovers.